British Prime Minister Theresa May will request a short delay to Brexit in a letter to the European Union on Wednesday, according to multiple news outlets including the BBC and Sky. Britain’s Press Association cited sources in the prime minister’s office as saying May will write to EU leaders to formally request “a bit more time.” Parliament last week voted for a three-month delay to the end of June, but some EU leaders have suggested another two years might be necessary. The delay, nearly three years since the United Kingdom voted to leave the EU, leaves the Brexit divorce uncertain with options including leaving with May’s deal, a longer delay, a disruptive exit, or even another referendum. But the ultimate length of the delay was unclear amid the political chaos in London, with the BBC reporting that May would not ask for a long delay. A spokesperson in May’s Downing Street office did not immediately comment on the reports. 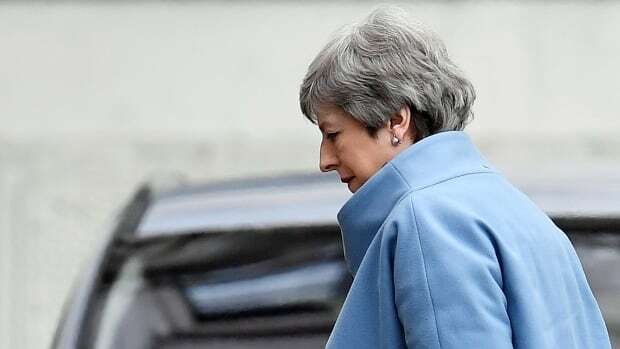 The divorce deal May agreed on with the EU in November has been defeated twice by Parliament though May hopes to put the deal to another vote, possibly as early as next week.